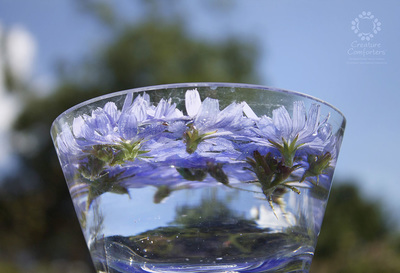 Brandy (23% ABV) and water infusion of the energy signature of Chicorium intybus. 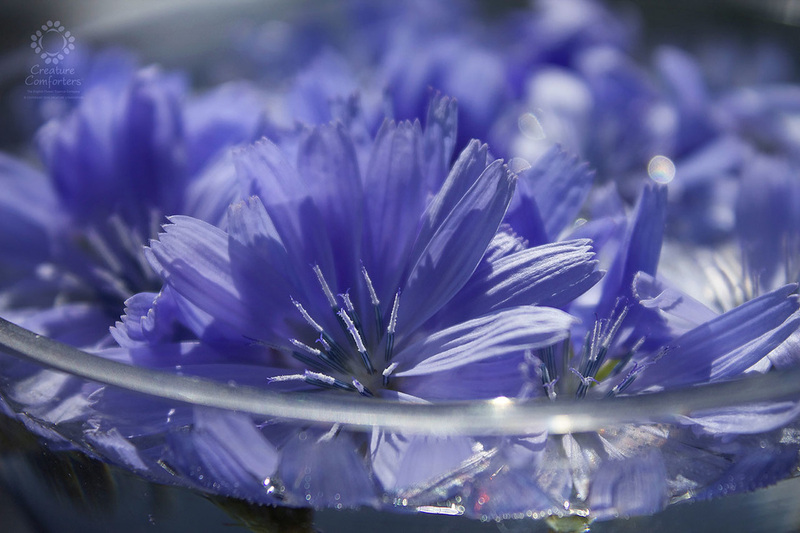 Yesterday I attended a small group meditation technique called a 'gong bath'. 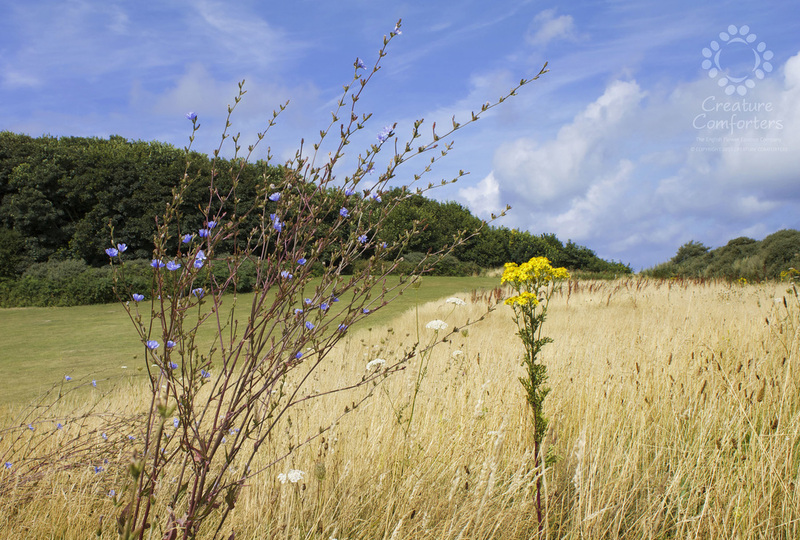 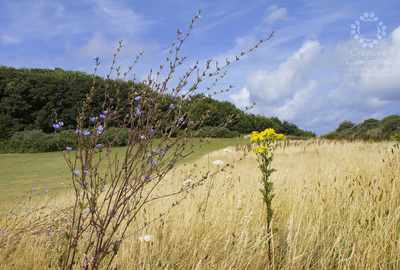 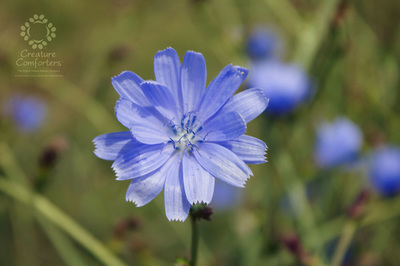 During the session I drifted off into a deep and peaceful meditation and had a very vivid visualisation (or dream) of a beautiful, vibrant and extraordinarily tall Chicory plant. 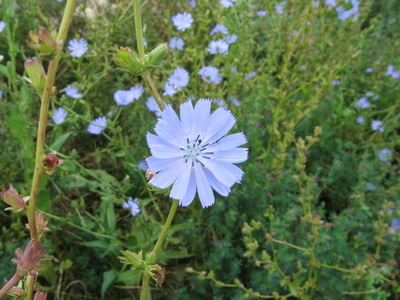 At sunrise the next morning I went on a journey to find that plant. 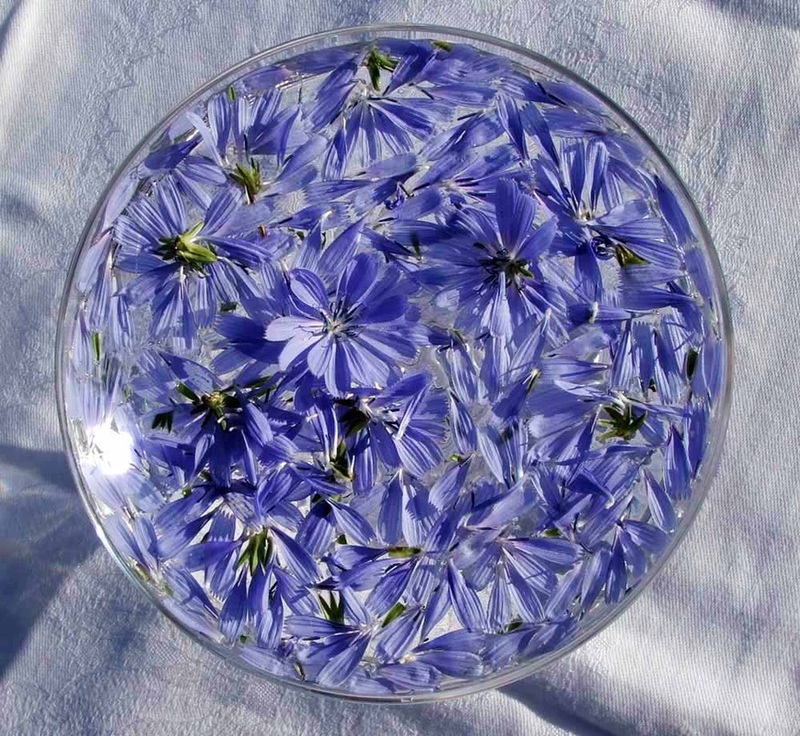 I drove for a couple of hours - to a special place where I'd made wild Chicory Essence many years ago. 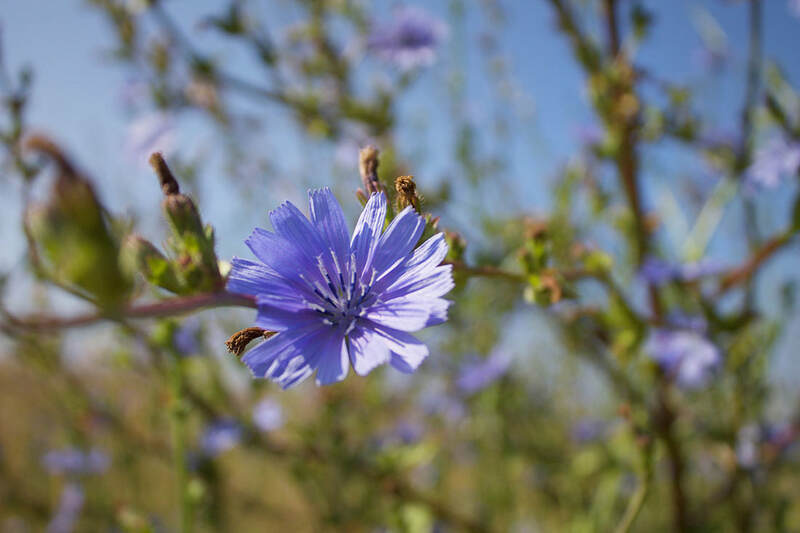 And then set off on foot, under clear blue skies and the baking sun to find some wild Chicory plants where I could make a Remedy. Eventually I found a lovely and abundant patch of Chicory but felt strangely compelled to carefully delve further into the patch. Once in the centre of the group of flowers, I turned, and there - right in front of me - was that very same plant that I had seen in my 'visualisation' the day before. 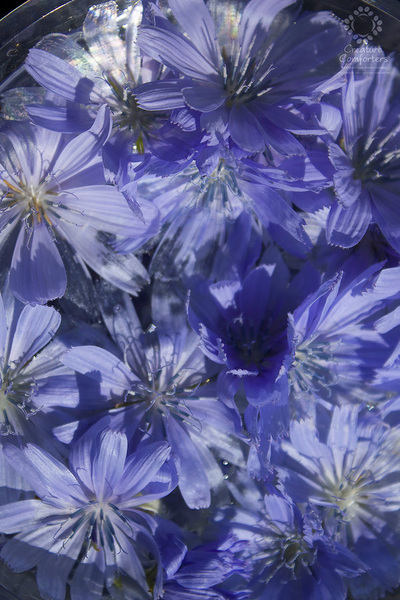 The shape, height, the deeper-blue colour of the petals - it was exactly the same in every way to the plant I'd envisaged during my meditation. 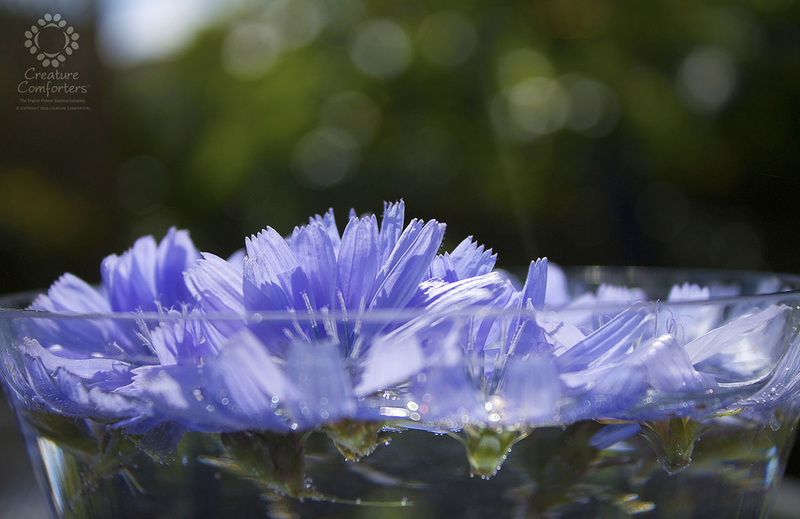 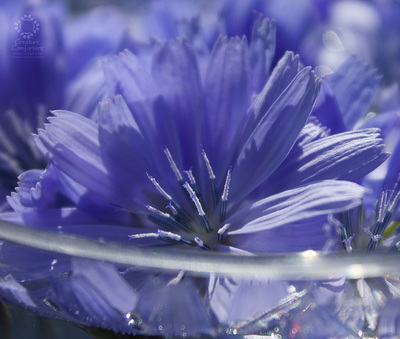 This plant was stronger, more vibrant and exuded more energy than the other surrounding Chicory flowers. 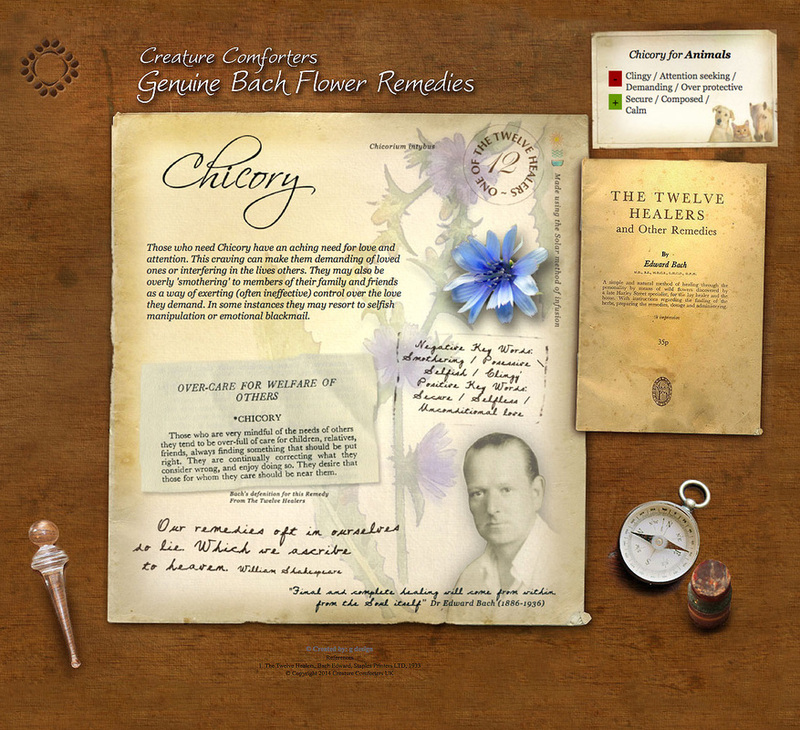 I knew that I just had to make a Remedy from it. Now, whether you believe in premonitions or visualisations or not, it's difficult for me to explain this experience. 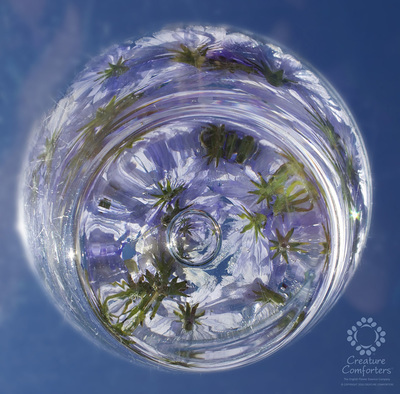 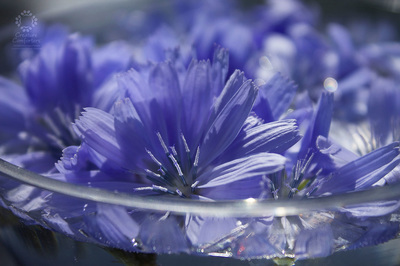 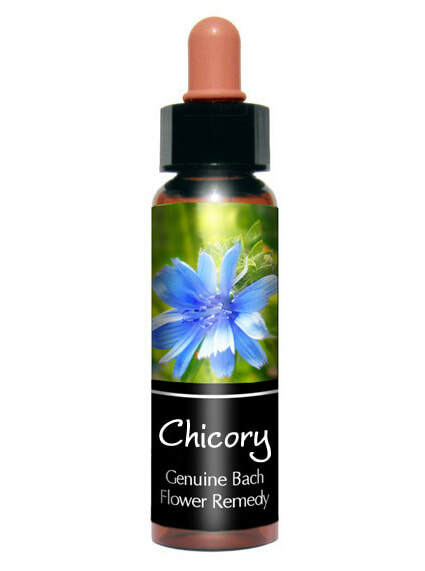 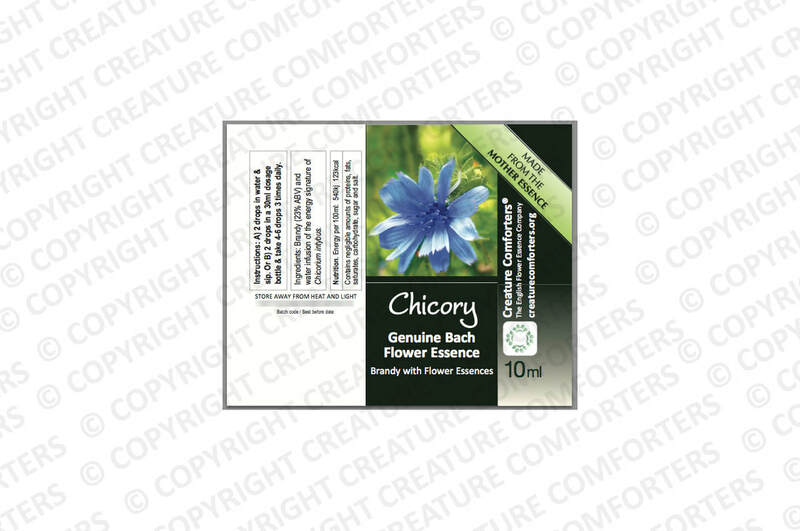 But I am so happy to have made what I believe to be a very special batch of organic Chicory Bach Flower Essence today. 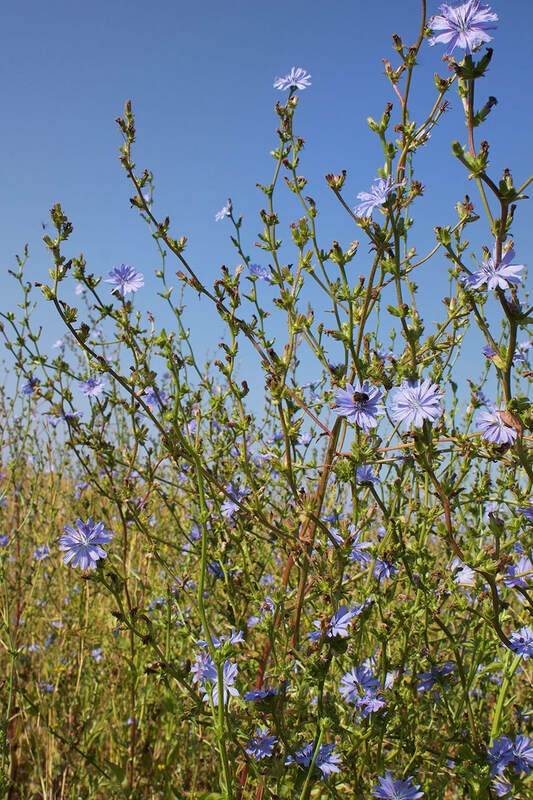 A very tall Chicory flower! 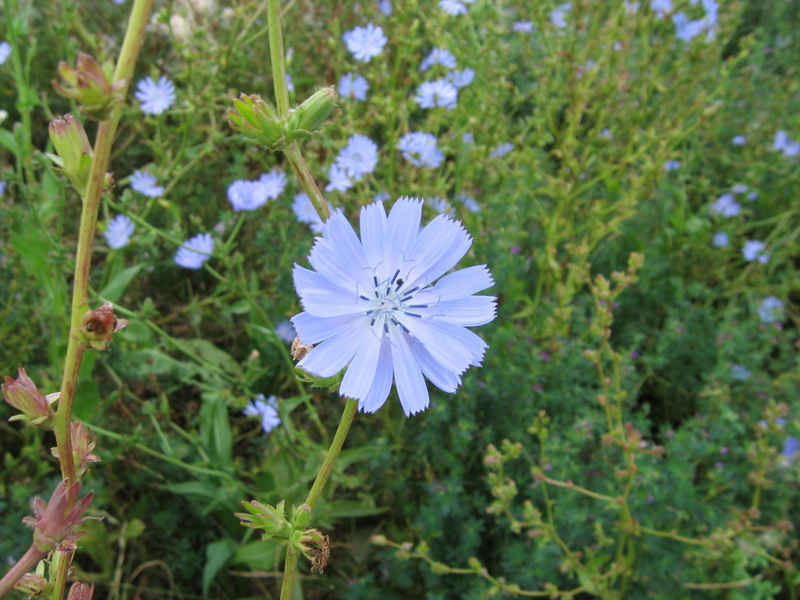 Pictured: The photo Jane took of the beautiful and abundant patch of Chicory flowers she found that day.